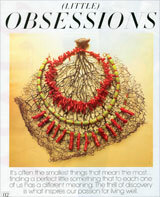 Spenderella coral and green turquoise necklaces. 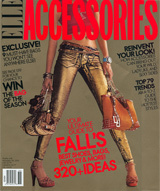 Elle Accessories premiere issue features four Spenderella jade pieces. 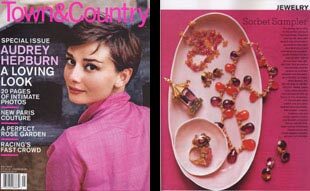 Spenderella red coral lei, & giant clam shell bangles from West Papua. 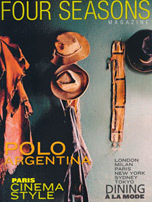 Distinction, July/August 2005. 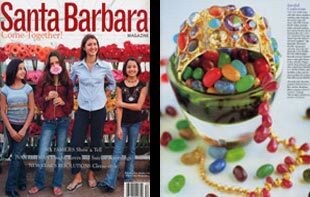 Spenderella Thai silver, turquoise & coral charm belt, necklace, and bracelets. 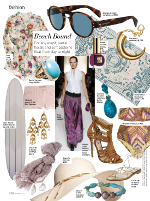 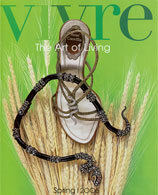 Spenderella 23 karat gold-plated nautilus shell on white silk cord is featured in Vogue Magazine. 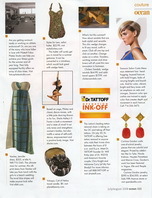 Pink tourmaline and carnelian briolette necklace by Spenderella. 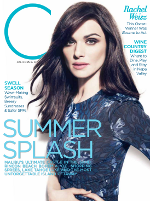 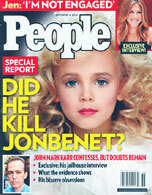 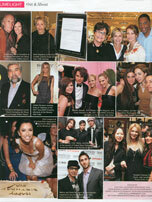 To view the article visit Town & Country Magazine. 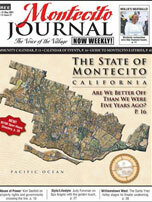 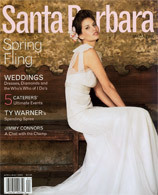 Spenderella Jewelry is featured in the Around Town section of Santa Barbara Magazine. 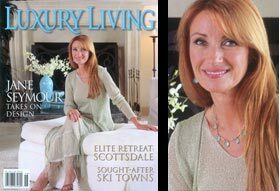 Actress Jane Seymour wears her Spenderella 18K gold and opal briolette necklace and earrings. 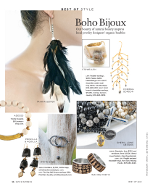 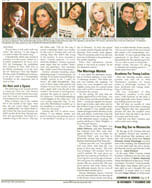 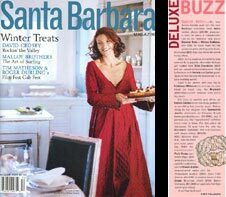 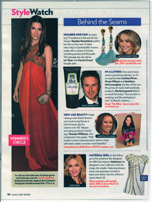 Spenderella Jewelry is featured in the Deluxe Buzz section of Santa Barbara Magazine. 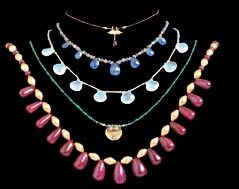 18k Gold and Ruby Teardrop Necklace by Spenderella. 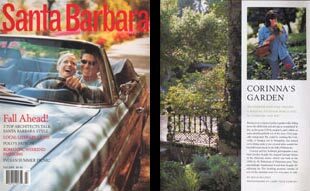 Pick up a copy of the Spring 2003 Santa Barbara Magazine to see the article in its entirety. 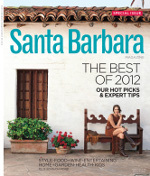 Pick up a copy of the Fall 2000 Santa Barbara Magazine to read the 10 page article.